Come and view this beautiful home, ,Single Level Vaulted Ceilings Upgraded Home w/4 bedroom + den. In the Desirable Desert Ridge! Large living room and dining area, eat-in kitchen with stainless steel appliances, granite countertops. Large master bedroom including granite tops, separate tub, and large walk-in closet. Large den for an office or a gym. upgraded light fixtures. 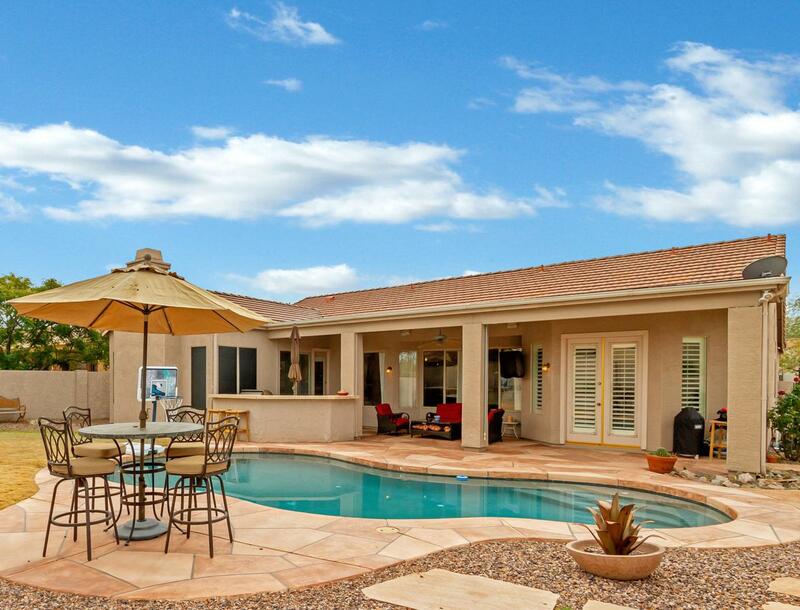 Backyard has a large covered patio, beautiful self-cleaning, Pebble Tec Pool Finish pool and built-in outdoor grill. Walk to top rated schools, Cashman Park, walking trails, close to dining, shopping, golf course, Desert Ridge, and City North. minutes to 101 and 51 freeway and 25 min to the Sky Harbor AirPort.